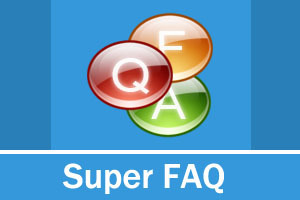 If you want all your information to display on one page, Super FAQ module can help you to navigate on a page. You can use this module as a FAQ or web document and so on.It support multiple language. May I apply a Creative Commons license to a work that is in the public domain? No, Creative Commons licenses should not be applied to works in the public domain. Our licenses are intended for works protected by copyright only. Our deeds now state this unambiguously: "Public Domain -- where the work or any of its elements is in the public domain under applicable law, that status is in no way affected by the license." Applying a CC license to a work in the public domain may constitute Copyfruad. However, if you incorporate a work that is in the public domain into a collection that is itself protected by copyright, then you may apply a Creative Commons license to the work as a collection, although the license will not affect the status of public domain work. Similarly, you may apply a Creative Commons license to an adaptation of a public domain work if you hold copyright to the adaptation. How does a Creative Commons license operate? A Creative Commons license is based on copyright. So they apply to all works that are protected by copyright law. The kinds of works that are protected by copyright law are books, websites, blogs, photographs, films, videos, songs and other audio & visual recordings, for example. Software programs are also protected by copyright but, as explained below, we do not recommend that you apply a Creative Commons license to software code. What things should I think about before I apply a Creative Commons license to my work? We have set out some things that you should think about before you apply a Creative Commons license to your work here. Which Creative Commons license should I choose? You should choose the license that meets your preferences. The license is a statement as to what others may do with your work, so you should select a license that matches what you are happy for others to do with your work. You can find an overview of the Creative Commons licenses here. You can find out information about how our licenses have been applied by other people to text, audio, images, video and educational works. You can also participate in our email discussion lists and/or review the discussion archives to see if our community is able to respond to your questions and concerns and/or has already addressed them. Finally, you can also consult with a lawyer to obtain advice on the best license for your needs. For information about how you may be able to locate a suitably qualified lawyer, please refer to this question and answer. Creative Commons licenses are non-revocable. This means that you cannot stop someone, who has obtained your work under a Creative Commons license, from using the work according to that license. You can stop distributing your work under a Creative Commons license at any time you wish; but this will not withdraw any copies of your work that already exist under a Creative Commons license from circulation, be they verbatim copies, copies included in collective works and/or adaptations of your work. So you need to think carefully when choosing a Creative Commons license to make sure that you are happy for people to be using your work consistent with the terms of the license, even if you later stop distributing your work. Do I need to sign something or register to obtain a Creative Commons license? No. Creative Commons licenses are designed to be applied to your work and to be binding upon people who use your work based on their notice of the Creative Commons “Some Rights Reserved” (or “No Rights Reserved” in the case of works dedicated to or certified to be in the public domain with one of our public domain tools) button and the statement that the work is Creative Commons-licensed. We do not keep track of or a register of which creative works have been licensed under a Creative Commons license. We make the licenses, code and tools available for you to use or not as you wish. What is the Commons Deed? What is the legal code? What does the html/metadata do? Creative Commons licenses are expressed in three different formats: the Commons Deed (human-readable code), the Legal Code (lawyer-readable code); and the metadata (machine readable code). The Commons Deed is a summary of the key terms of the actual license (which is the Legal Code)—basically, what others can and cannot do with the work. Think of it as the user-friendly interface to the Legal Code beneath. This Deed itself has no legal value, and its contents do not appear in the actual license. The Legal Code is the actual license; a document designed to be enforced in a court of law. The metadata describes the key license elements that apply to a piece of content to enable discovery through CC-enabled search engines. How do I apply a Creative Commons® license to my work? For online works, you apply a Creative Commons license to a work by selecting the license that suits your preferences. Once you have selected your license, and if you are applying it to an online work, follow the instructions to include the html code in your work. This code will automatically generate a license button and a statement that your work is licensed under a Creative Commons license, or a CC0 or public domain button if you choose to dedicate your work to the public domain or certify that a work is in the public domain via one of our public domain tools. These buttons are designed to act as a notice to people who come in contact with your work that your work is licensed under the applicable Creative Commons license. The html code will also be include the metadata that enables your work to found via Creative Commons-enabled search engines. I am in a band; can I use Creative Commons licenses but still collect statutory royalties such as under statutory licenses for public performances? Yes, so long as you choose a “NonCommercial” license option (ie. Attribution-NonCommercial, Attribution-NonCommercial-ShareAlike or Attribution-NonCommercial-NoDerivatives) because under these licenses you reserve the right to collect royalties under statutory or compulsory licenses for commercial use of your work. Whether, as a practical matter, you can collect these royalties, depends on which country you are in (check out the answer to the next question). Under the Creative Commons licenses that permit other people to make commercial use of your work (ie. Attribution, Attribution-ShareAlike, Attribution-NoDerivatives), the licensor waives the right to collect these royalties. Can I apply a Creative Commons license to an offline work? Yes. For offline works, you should identify which Creative Commons license you wish to apply to your work and then mark your work either: (a) with a statement such as “This work is licensed under the Creative Commons [insert description] License. To view a copy of this license, visit [insert url]; or, (b) send a letter to Creative Commons, 171 2nd Street, Suite 300, San Francisco, California, 94105, USA.” or insert the applicable license buttons with the same statement and URL link. The only difference between applying a Creative Commons license to an offline work and applying it to an online work is that offline works will not include the metadata and, consequently, will not be identified via Creative Commons-customized search engines.